The Y.A. 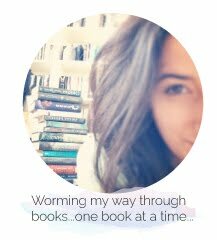 Bookworm Blogger: My First YouTube Video! Hello bookworms! It feels good to finally be back! I just finished writing my last exam this morning and I'm so giddy about the fact that I get a break from school for the rest of the week! Woohoo! I was in such a good mood yesterday that I decided to film my first YouTube video-- a book haul! Currently, I'm planning on getting a video up at least once a week and have it geared towards bookish things but.....that could change as I start getting more videos up!